I have kept the campaign open for any addition costs towards competition costs and prosthetic legs. Hi my name is Vanessa. 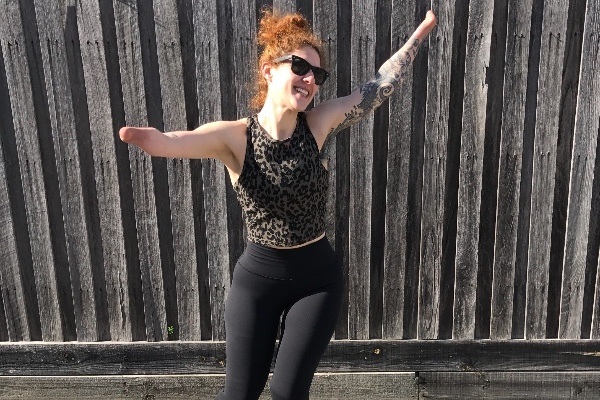 I was born without hands and feet and live with chronic pain. I am about to compete in my first bodybuilding competition in October. I am hoping to raise enough money so that I can get new prosthetic legs made for the competition as my current prosthetic legs are not the same design. Having these new legs would also contribute to having better fitting legs. By competing I hope to shine a little light on how if you believe in yourself anything is possible. Even someone like myself with no hands, no feet and chronic pain can achieve anything. Preparing for the competition has definitely had its challenges but I'm determined to make it! Now I just need the new prosthetic legs to shine a little brighter and put my best foot forward on stage.